According to the Small Business Administration’s 2015 annual report for Utah, the state led the nation in small business lending in the fiscal year 2014-2015. Utah ranked No.1 with 57.43 SBA loans per 100,000 people. The state saw a combination of 504 and 7(a) small business loans approved that were worth approximately $500 million. The numbers reflect an all-time record in small business lending for the state. Small business lending in Utah remained strong for the fiscal year 2015-2016. There were 1,314 SBA-guaranteed loans approved worth approximately $580 million. The numbers surpassed Utah’s record-breaking SBA loan approvals last year by $40 million, according to Utah Business. Through the Small Business Administration’s 7(a) program, there were 1,108 loans approved valued at approximately $440 million. Under the SBA’s 504 program, there were 206 loans approved worth approximately $139 million. Utah is a popular spot for entrepreneurs due to the state’s low unemployment rate and a rich workforce labor environment. The unemployment rate in Utah is the second lowest in the U.S., and analysts predict that job growth in the state will increase by 2.8 percent annually through 2020. The state has the youngest population in the nation at 29.9, and the state ranks number one in employment growth via the technology sector, according to the Utah Governor’s Office of Economic Development. Small business owners and entrepreneurs thrive in Utah. It costs 12.9 percent lower than the national average to do business in the state. The cost of living is one of the lowest in the nation leaving residents with more disposable income to spend at local shops and businesses. The state also pays the least amount for healthcare per resident, and small business owners are able to provide their employees with affordable employer-sponsored health insurance due to the state’s low healthcare costs. Synchrony Bank was established in 1988 in Draper, Utah. However, when it first opened its doors to the public, it was known under the name GE Capital Retail Bank. Founded in 1998, The Pitney Bowes Bank is headquartered in Salt Lake City. It has also loaned small businesses $341 million in the locale within just a year. Based in Salt Lake City, American Express Bank has been serving the city and surrounding areas through personal and commercial banking services since 2000. 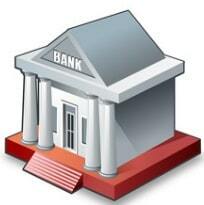 Wells Fargo Bank is one of the biggest banking institutions in the state as well as in the United States. It operates as a subsidiary of WFC Holdings Corporation. Based in Midvale, Utah, WEX Bank is an industrial bank that focuses on providing funding support to businesses within the locale. Transportation Alliance Bank, Inc. specializes in aiding businesses in the transportation industry in the United States through a variety of financial instruments and banking products. Utah is one of the most beautiful states in the country. If you’re looking for an attractive place to live, this is definitely a good option. Small business owners in the area often have companies that work in mining, tourism, or energy. The Mormon Church has a large presence in the area, which means certain types of businesses may not work as well in the area as they would in other parts of the country. Utah does have a state income tax, but it’s still much lower than many of the other states in the nation. There are a few large cities in the area that are great for starting a new business. In this part of the article, we’re going to take a look at the best cities in the state. We’ll also provide you with advice on the best lenders to use in each city. Washington Federal is a large, national lender that has a local-focused branch in the heart of Salt Lake City. They have the financial power to provide you with great lending products at affordable rates. We highly recommend them to our business clients in the region. You can speak to an on-site commercial lending specialist in their South Highland Drive location. They also have a great online portal for those who want to manage their loans online. Celtic Bank is a great local lender in Utah that has invested heavily in the local business community. If you want to work with a lender that prioritizes business owners, there aren’t many better options available on the market. They have a deep understanding of the complexities of the Salt Lake City economy. Mountain America Credit Union is our top choice for the West Valley City region. You’ll need to be a member of their credit union to access their low-rate lines of credit and term loans, but they do offer some of the most affordable financing in the industry. They’re highly recommended by their past and current clients. They have a local branch in West Valley. America First Credit Union is another large lender with a presence in West Valley City. They have great financing options as well – like Mountain America Credit Union, you’ll need to be a member to access their financing. 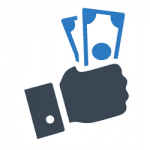 They also offer business banking services to their lending clients. Central Bank Utah is our favorite bank in the Provo, Utah region. It’s an awesome lender with plenty of local experience. If you’re looking to work with a lender that has the ability to understand your local economy in Provo, Central Bank Utah is a top choice. They also have a great reputation for providing effective business banking solutions. American United Federal Credit Union is our top pick for the West Jordan region. They have a local office in the suburb which can provide you with an easy way to meet with your potential lender. They have an online loan calculator which can be used to get a ballpark estimate about the cost of your financing. You need to be a member to take advantage of their rates. Bank of American Fork is our top choice for the Orem region. They have a local branch in the city that can be used to meet with a business banking specialist face-to-face. They have business credit cards, loans, lines of credit, and SBA loans for those who need them. They can make the entire SBA loans application process as painless as possible.